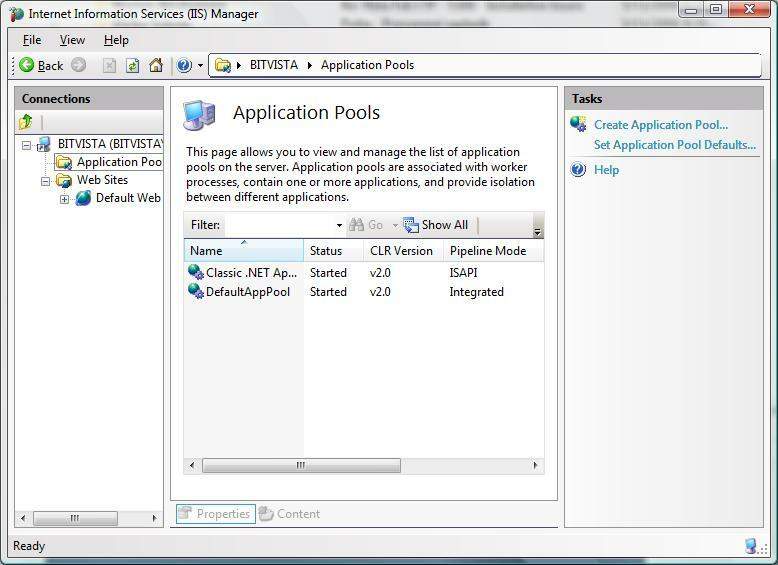 This post will focus on how to enable IIS7 in Windows Vista client and to use it to host a service activated Windows Workflow. Procedure is based on the current build of Windows Vista (5381.1), which is a RC1 for Beta 2 milestone. Also, WinFX February CTP is used, which includes Windows Workflow Foundation Beta 2. Make sure you also check ASP.NET under World Wide Web Services/Application Development features, since this will install and enable ASP .NET 2.0 under all IIS7 sites. You can also do this later on using aspnet_regiis.exe, but Vista will notify you that the preferred way is using Turn on or off Windows features dialog. This will allow you to run your workflow as a service inside the default application pool. 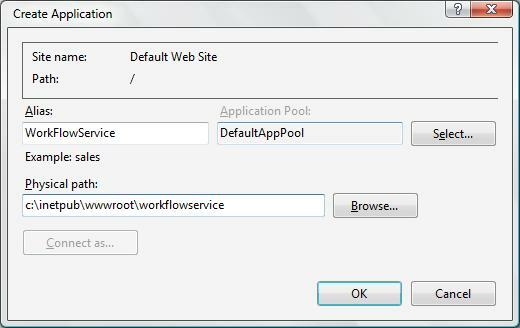 You can check and notice that default application pool uses a new integrated IIS7 mode and not ISAPI as in IIS5/6. You're ready to deploy your workflow activated service now. use the steps described in my previous post, under Ad 1. 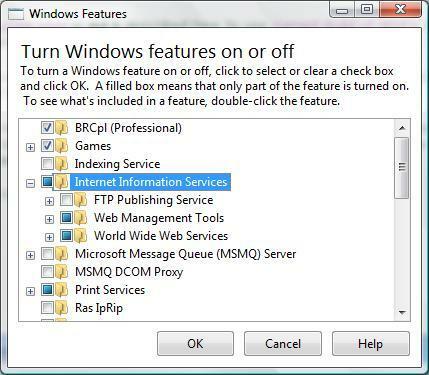 IIS7 is noticing you that your config files are not compatible with the new hosting model. You can change the configuration files by running: c:\windows\system32\inetsrv\appcmd.exe migrate config "<Site name>/<VRoot name>". AppCmd.exe is a tool which automatically migrates your old config, to IIS7's new config format. 1. 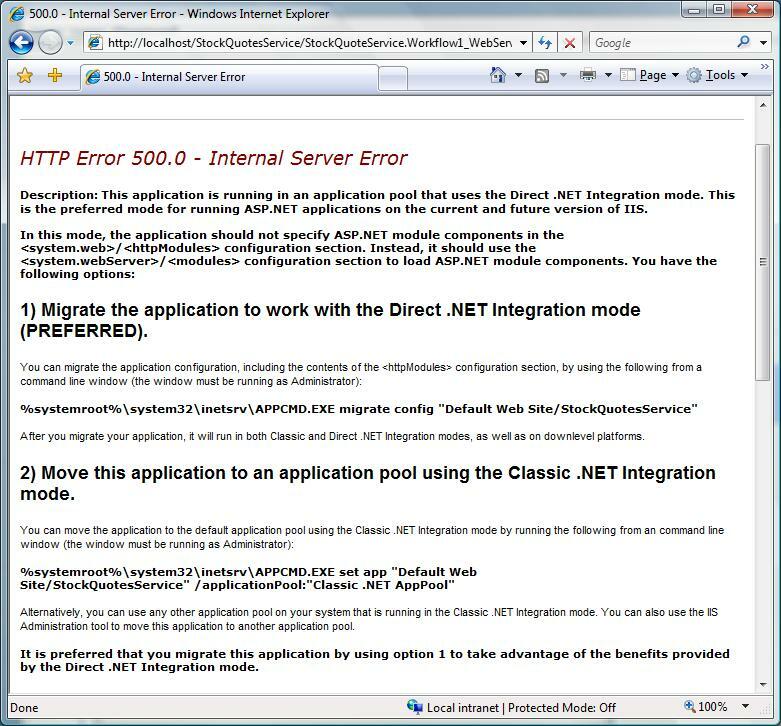 Running c:\windows\system32\inetsrv\appcmd.exe set app "<Site name>/<VRoot name>" /applicationPool: "Classic .NET AppPool". This changes the site to use another, preconfigured app pool, which uses ISAPI by default. I prefer going through route 1. Integrated mode is how you should be running your sites under IIS7, so changing the config to make IIS7 happy is the way to go. If you have specific ISAPI functionality (not limited to Workflows) you can, though run in classic mode by designing your app pool around it. 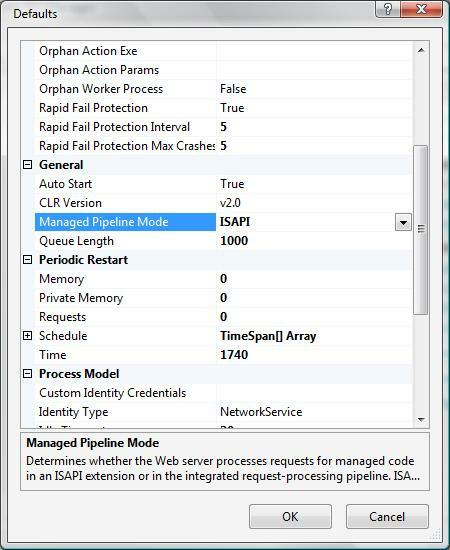 Now your service activated workflow will run and execute under IIS7. Again, beware of the caveats I described here.